Tonight we have a full plate- just trying to work our way through reporting on all of the police criminality and misconduct. We start in Florida, where more than 50 criminal cases will be dropped after four Florida police officers were fired over their racist text messages and videos. Next, we move to Chicago and tell you about the declaration made by Mayor Emanuel that the city is going to pay out $5.5 million to individuals who can prove that they were/are victims of former police commander John Burge. This comes after the city council had already decided to create a fund to give them at least $20 million, since the statute of limitation has run out on the crimes against humanity that were carried out against them. Is justice really being served? While we’re in Chicago, we’ll give you an update on the city also seeking to pay out a quick $5 million to the family of 17-year-old Laquan McDonald, now that the dashcam video is available, the family says that it shows officers shot him 16 times as he was walking away from them. They were seeking $16 million, so the settlement helps the city dodge bullets again. There are more stories of slave catchers out of control, and we will address all of this- but we also have our Ferguson is America segment, which this week highlights municipal, and judicial corruption, police and courts racial profiling and preying on the poor- all things we saw detailed in the DOJ report on Ferguson, MO. 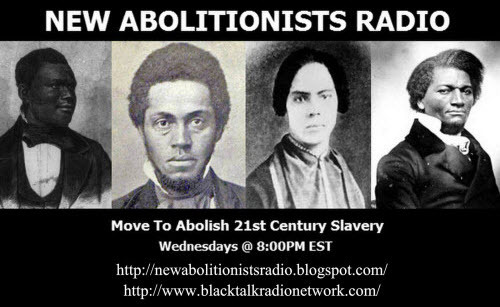 We’re still making the case for RICO charges against institutions and individuals running them, who show pattern and practice, so tonight is Arkansas under the Abolitionist spotlight. This week’s Riders of the Modern Underground Railroad are the brothers Jonathan Barr and James Harden, exonerated after 16 years falsely imprisoned.